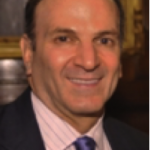 Dr. Roy Geronemus, Director of the Laser & Skin Surgery Center of New York, is a Clinical Professor of Dermatology at the NYU Langone Medical Center where he has founded its laser program and served nine years as its Chief of Dermatologic and Laser Surgery. He is past president of the American Society for Dermatologic Surgery and the American Society for Laser Medicine & Surgery. Dr. Geronemus is the Chairman of the Board of the New York Stem Cell Foundation. He graduated from Harvard University and pursued his medical education at the University of Miami School of Medicine. He trained in dermatology at the New York University Medical Center where he was the Chief Resident and subsequently underwent fellowship training in Mohs Micrographic Surgery and Cutaneous Oncology. The American Society for Laser Medicine and Surgery has awarded Dr. Geronemus with the Ellet Drake award for outstanding contributions to laser medicine and the Leon Goldman award for excellence in clinical laser research. The American Society for Dermatologic Surgery has awarded him the Samuel J. Stegman award for distinguished service and the University of Miami School of Medicine has elected him into their Hall of Fame. He has received the Physician of the Year honor from the Vascular Birthmark Foundation and was also awarded their Humanitarian Award in 2014. He has been listed in New York Magazine’s Best Doctors in New York 19 times, and 14 times as one of the Best Doctors in America.